Agile, powerful, manoeuvrable, and in its element between the rows. 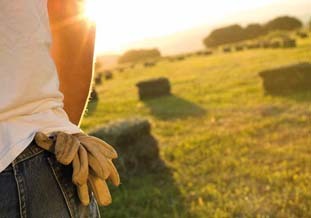 Working with orchards and vineyards involves very specialised jobs. 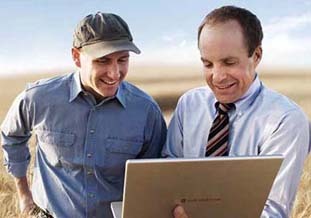 This is why there is the Frutteto³, a tractor that understands and responds to the needs of today's farmer. Frutteto³ offers a wide choice of configurations - with cab or platform variants, mechanical or electrohydraulic controls, and different tyre sizes. 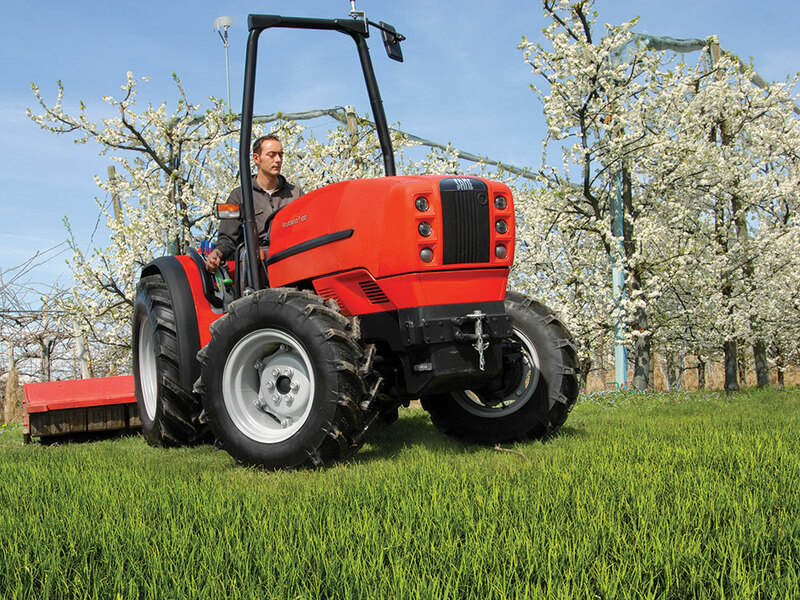 Its compact dimensions, incredibly small turning circle and extraordinary manoeuvrability make the Frutteto³ the ideal choice even for applications with very narrow working space and limited headland. Put simply, efficiency, manoeuvrability and comfort are priorities for the Frutteto³, because it was created with the precise goal of supporting the professional in the pursuit of higher productivity. With its advanced 3 and 4 cylinder SDF 1,000cc Tier III engines with turbo and intercooler, producing from 82 to 106 HP, the Frutteto³ provides the right answer to a wide variety of different needs with its ideal balance between size and performance. The electronically controlled injection system with a single injector per cylinder maximises engine power while minimising fuel consumption. But that's not all: the hydraulic tappets ensure optimised performance as soon as the engine starts, and all ancillary components are engineered for maximum functionality, facilitated maintenance and compactness. An impressively steering angle, short wheelbase, superb grip and manoeuvrability, together with a low centre of gravity, excellent weight distribution and ideal traction even in difficult terrain conditions. These are just some of the characteristics that make the Frutteto³ the right choice for working in restricted spaces. And with a 5 speed transmission available with up to 3 ranges and, if needed, with a supercreeper gear, and the Powershift system, shifts between speeds are performed effortlessly without using the clutch - even under load. The Frutteto³ also includes the Over Speed function - for driving on roads at up to 40 Km/h with the engine at economy speed - and is equipped with a hydraulic reverse shuttle with 2 Long Life multiplate clutches. It never falters, whatever you ask it to do. A tractor created for specific tasks must also have a special hydraulic system to allow the use of different implements without sacrificing lift capacity and delivery rate. This is why the Frutteto³ offers a wide choice of configurations in terms of pumps and the number and position of the distributors, which include 6 and 4 way rear and ventral distributors with separate flow regulator. The arms and tie-rods of the mechanical or electronic rear lift are sufficiently sized to tackle even the heaviest job without difficult. The economic, synchronised PTO is also very versatile, and ensures superlative reliability when using atomisers, side shoot removers and inter-row cultivators, as well as driven axle trailers for transporting on steep slopes. 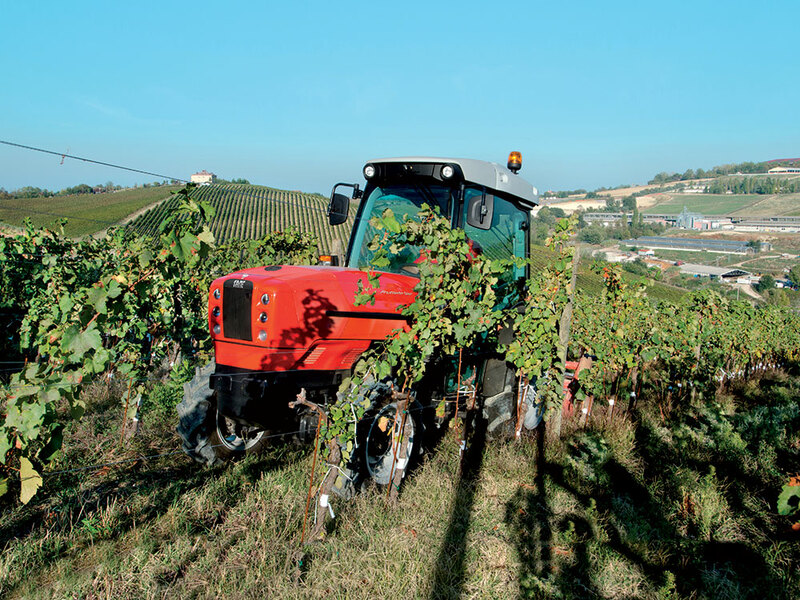 For a tractor for specific applications like the Frutteto³, the cab is not an afterthought. The quiet cab boasts an air-sprung seat, an ergonomic driving position and air conditioning system with condenser and cover for maximum efficiency. But the Frutteto³ is not only versatile in terms of mechanicals, technology and specialised capabilities, and there's another important detail that can really make the difference in responding to the specific needs of the job: tyre size and, as a result, the height of the platform. mounted on silent-blocks, depending on the tyres, the platform of the Frutteto³ is available with a height of 24” or 28” from the mudguards. The 28” option is also available for the cab version. The code B100 identifies engines designed and built with specific characteristics to ensure compatibility with fuels containing up to 100% biodiesel. The Overspeed function allows the tractor to be driven on the road at up to 40 Km/h at engine economy speed irrespective of tyre size, for reduced fuel consumption and improved comfort. Equipped with two Long Life multiplate clutches, this shuttle allows direction inversion at any speed, reducing the time needed for manoeuvres and headland turns. The innovative Stop&Go system works in conjunction with the Sense Clutch hydraulic reverse shuttle to improve controllability, letting the drive manoeuvre and stop the tractor without using the clutch. The code HRT indicates engines with hydraulic tappets, which enable injection timing control for optimised efficiency even when the engine is still cold. Financing Do you want financing? Assistance Do you already own a SAME?